A Bright, Shiny Starred Review for PUP 681! On the heels of a weekend stuffed full of gratitude, comes an extra dollop of good news … a bright, shiny starred review for PUP 681. “Unabashedly adorable.” Thank you, Kirkus! “An abandoned baby sea otter is rescued and sent to live out her life in an aquarium—where she learns the deepest meaning of “family,” in this tale inspired by a real-life rescued otter pup. ‘When the moon slipped under the mist and the sun began to burn through, a tiny one opened her eyes.’ These poetic words are on the recto of a double-page spread of a pale, watercolor seascape. At the left, an immediately appealing, dazed-looking brown sea otter sits draped in seaweed. Over the next two pages, there are four more depictions of the baby, in equally adorable positions, lessening the sting of her plaintive situation. She appears near death when, in driving rain, a young woman shows up and gently bundles her into a blanket, calling the otter Pup 681. The tale is told in third person, but most of it is through the supposed thoughts and even dreams of the otter, who at one point feels so lonely she sickens. Her unnamed, sweet-faced rescuer, a woman of color, again revives her, and a fascinating otter fact is cleverly revealed. The gentle humor of the artwork and the descriptive, sometimes-rhyming text combines with excellent layout to create a compelling tale. If the ending words were describing a human’s lesson learned, they would seem mawkishly sentimental; because the lesson applies to Pup 681’s “tiny otter heart,” they simply provide appropriate closure. An author’s note and a smattering of otter facts follow. Posted in News to Use,Reviews on 11/26/2018 | Comments Off on A Bright, Shiny Starred Review for PUP 681! After a recent Skype school visit, I received a fabulous file of “Best Book” reports from a phenomenal first-grade class … which reminded me, author studies and opinion pieces are not just for big kids. By reading, together as a class, several books by the same author – and maybe even scheduling a virtual visit – you give even the youngest readers an opportunity to compare and contrast an author’s books, learn about story inspiration and idea generation and maybe even ask a few questions of the author herself. Topping it off with a simple “Best Book” report helps students learn to form their own opinions, find supporting details and draw conclusions about literary works and art. You’ll be well on your way to forming selective young readers and thoughtful new critics – a boon to any literacy curriculum. Interested in a virtual visit? Check out my Time Out for Teachers page! Early learners master days of the week quickly – and there are plenty of picture books that can help them do that – including my BUSY BUILDERS, BUSY WEEK! Kick it, bump it, locker day! As you open each day, consider adding some bouncy creativity to your calendar time and watch your young poets blossom. First the sprinkles, and now the cover! Look what just went live! Another cover (and a peek at some pages)! I can’t wait for the world to meet TRUMAN – because it takes courage to see new sights, hear new sounds, think new thoughts … and go after what we love. Right? Illustrated by the amazing Lucy Ruth Cummins and edited by the brilliant Emma Ledbetter. Coming Summer 2019 from Atheneum/Simon&Schuster. But you can preorder it now! Posted in Great Reads,News,Thoughts from my Books on 10/09/2018 | Comments Off on First the sprinkles, and now the cover! I soon learned that the art was inspired by an actual rescued sea otter pup living at the Shedd Aquarium in Chicago – a place I LOVE. So how could I resist? 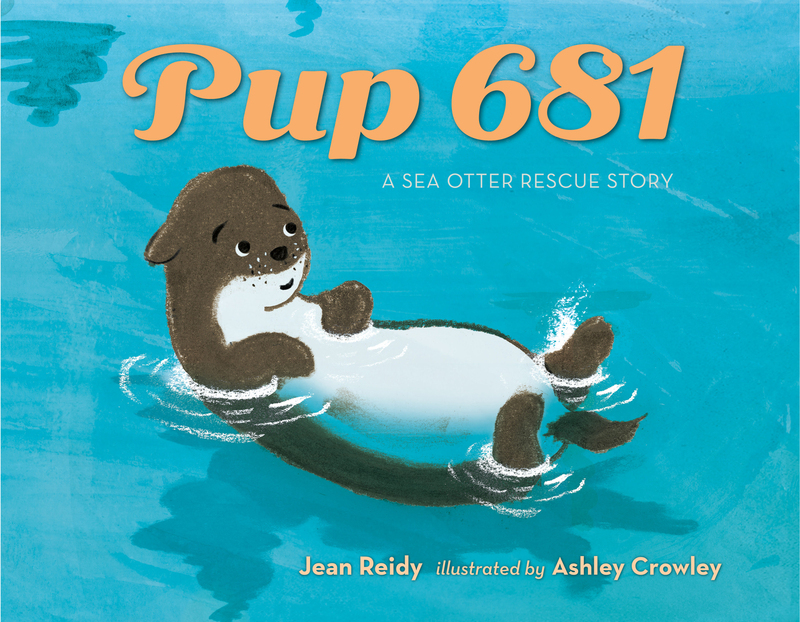 Pup 681, my eighth book, hits bookstore and library shelves in February 2019 (Henry Holt, Godwin Books) and features the AWWWW-so-adorable art of illustrator Ashley Crowley (Officer Panda, The Boy and the Blue Moon) who created that super-cute sea otter pup above. Washed ashore alone, a tiny sea otter pup needs help! Soon, a rescuer is there, to take her in and keep her warm and fed. The pup faces challenges in her new life without her sea otter family. But with the love and care of her rescuer, she flourishes in her new home. Inspired by a true story, this is a heartwarming and hopeful tale about family and love. So while the heat of summer is upon us, soak up these cool blue waters. February will be here before we know it. PUP 681 is available for preorder now!